2017 and the beginning of 2018 happened to be rich in important events for the legal community. Thus, at the end of 2017, we became participants of an extraordinary event, namely work on reforming the Supreme Court of Ukraine. There were heated and lengthy discussions around the process of reformatting the cassation instance. Critics of this process regularly stated in the mass media that it was bad timing for reforming such an important judicial institution as the Supreme Court of Ukraine during the continuing military conflict in the eastern region of our country. A number of reprimands were addressed to the allegedly incomprehensible and non-transparent procedure for selection of judges, absence of clear determination of professional and moral criteria to be met by a candidate for a judge of the SCU. However, despite this heavy criticism, the personal composition of the cassation court was formed, and, to our belief, the Supreme Council of Justice managed to arrange and hold the selection of judges as transparently and publicly as possible. The coming into force of the new codes of procedure was equally significant and fundamental for the legal community. Thus, the new versions of the Commercial Code, the Code of Civil Procedure and the Code of Administrative Proceedings came into force after the new Supreme Court of Ukraine commenced its activity, namely from 15 December, 2017. At the same time, recalling the retrospective of events related to the coming into force of the revised codes of procedure, it should be noted that the criminal process became a kind of exception to the general rule of reform of procedural legislation. Firstly, in comparison with other procedural laws, the Code of Criminal Procedure of Ukraine (hereinafter — the CCP of Ukraine) underwent no large-scale changes as other procedural laws, which somewhat made the life of lawyers practicing in the sphere of criminal law and process easier. Secondly, the coming into force of the new version of the CCP of Ukraine was divided de facto into several stages. Thus, most of the provisions of the Law of Ukraine On Amendments to Certain Legislative Acts Concerning Observance of the Rights of Participants in Criminal Proceedings and other Persons by Law Enforcement Agencies During Pre-trial Investigation” No. 2213-VIII of 16 November 2017, (the so-called Masks-Show Stop Law, for the ease of convenience this is how we will call it) came into force on 7 December, 2017. At the same time, part of the novelties of the criminal procedural legislation of Ukraine, containing the above Law, which, in particular, cover the use of video recording equipment during a trial, will come into effective on 1 January 2019. Furthermore, the CCP of Ukraine was amended based on Law of Ukraine On Amendments to the Code of Commercial Procedure of Ukraine, the Code of Civil Procedure of Ukraine, the Code of Administrative Proceedings of Ukraine and other legislative acts No. 2147-VIII of 3 October 2017. A significant part of the provisions of this Law came into force only on 15 March 2018. 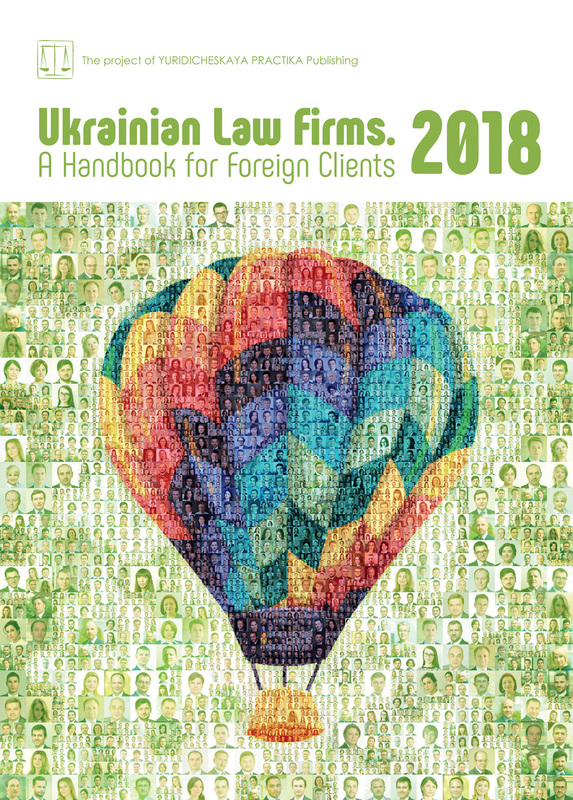 According to the results of the analysis of criminal proceedings, the legal support of which is provided by EQUITY lawyers, we can positively state that a certain part of judicial and procedural practice has already been formed regarding the application of the above novelties of criminal procedural legislation of Ukraine. Therefore, the implementation of provisions of the Masks-Show Stop Law had a positive effect, generally speaking. For example, the problem of denying a lawyer access to the location of a search after the search has already started, has almost disappeared. Earlier, a lawyer had to carry out a lot of actions to be granted access to a search site. For example, to document the fact of denying access to a client by informing agencies of the National Police Force about the obstruction of advocacy, to notify bodies of local self-government or attract the attention of the media. At the moment, a lawyer can concentrate solely on the conduct of an investigative action during a search, he/she does not need to take a lot of unnecessary actions, and to get to the premises for the final part of an investigative action, at best. However, the results of applying the Masks-Show Stop Law by representatives of pre-trial investigation institutions regarding ensuring mandatory video filming of the search are not so reassuring. It is worth reminding that according to Part 1 Article 107 of the CCP of Ukraine, the execution of a ruling of an investigating judge, a court on conducting a search should be mandatorily recorded using audio and video recording means. In such cases, EQUITY lawyers have developed their own simple and, at the same time, effective recipe for putting the stubborn investigator or prosecutor on the right track: a lawyer should record the investigative action and communication with a representative of the pre-trial investigation body on a mobile phone. In addition, when signing a search protocol, violations by the person who conducted the investigative action, of the requirements of effective procedural legislation must be specified. When used as a complex, the above measures, firstly, discipline the participants of a search and prevent the infringement of the rights of individuals. Secondly, with such actions a lawyer prepares the ground for proper protection of the client’s interests in court in future. However, the question remains still whether the evidence obtained during a search in violation of the requirements of Part 1 Article 107 of the CCP of Ukraine, namely, in the absence of video recording, will be recognized as inadmissible when considering a criminal case on its merits. Unlike positive changes in case of search video recording, the situation with legal prohibition of computer equipment seizure has not changed for the better at all. Why did the above provision of the CCP of Ukraine, which de facto introduced a moratorium on the seizure of physical storage media, fail to produce the desired results? To the best of our belief, the answer to this question lies in the very text of this provision. Thus, Article 168 of the CCP of Ukraine provides for the procedure of temporary seizure of property. According to Part 2 of the above article, temporary seizure of property may also be carried out during a search or inspection. Temporary seizure of electronic information systems or parts thereof, mobile terminals of communication systems is prohibited, unless their provision along with the information contained in them is a prerequisite for conducting research by experts, or unless such items were obtained as a result of a criminal offense or are means for committing an offense, or access to them is limited by their owner, possessor or holder, or is related to overcoming a logical protection system. Therefore, in this Article of the CCP of Ukraine the legislator uses the term “electronic information system”. However, the effective CCP of Ukraine contains no definition of “electronic information system”. This definition is contained in Article 1 of the Law of Ukraine On Protection of Information in Information and Telecommunication Systems of 5 July 1994, according to which an electronic information system means the organizational and technical system where the information processing technology using technical and software tools is implemented. Investigators and prosecutors who conduct a search resolve a situation in the simplest ways: to lawyers’ objections to the statutory prohibition to seize a system unit, hard drive, or server they either say that this equipment is not an electronic information system, or that computer equipment is required to conduct research by experts. It should be noted that in case of a challenge against the actions of investigators regarding the seizure of computer equipment, the courts will support the interests of the property owner and will grant such a petition. Furthermore, there is already some progress regarding the application of clause 10 part 1 Article 284 of the CCP of Ukraine. The specified provision provides that criminal proceedings will be closed if there is an unrevoked order of an investigator, a prosecutor to close criminal proceedings based on the grounds stipulated by clauses 1,2,4,9 of this part in the criminal proceedings regarding the same investigated act subject to the requirements of investigative jurisdiction. In our view, the above innovation is rather ambiguous, since it de facto overlaps with the fundamental principle of criminal law on the impossibility of repeated prosecution. In this case, clause 10 Part 1 Article 284 of the CCP of Ukraine is de facto an interpretation of this principle.